2. 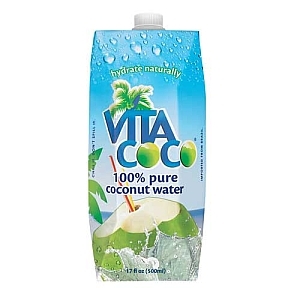 Coco Vita coconut water, just $2.22 at Stop & Shop. Off to buy some right now…the best hangover/migraine/PMS/overall misery drink. I love this stuff. It’s like gatorade for grownups, just restores whatever’s missing (electrolytes? brain cells?) when we need it. 3. 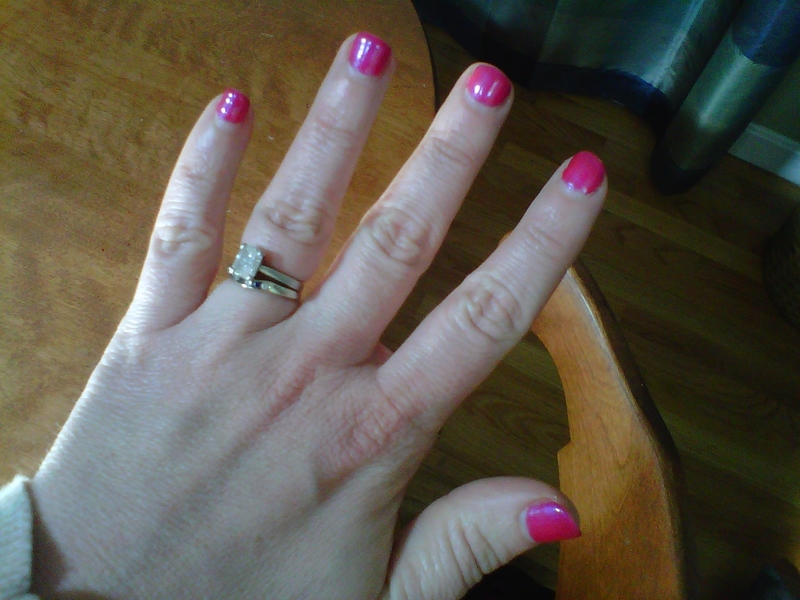 My pretty manicure. Gel polish manicures are my new thing. They take a little longer and cost a little extra, maybe about $25-$30 at my local “spa” ~Nails 21, but totally worth it. I’ve had mine for 10 days and not a chip, not a peel and make my nails perfectly strong enough for tiny Blackberry buttons. Right now I have Opi Axxiom Soak Off Gel Laquer in Pompeii Purple, which is really a hot pink. not bad for 11 days right? 4. The Black Eyed Peas song! Just Can’t Get Enough- the perfect driving around on a Saturday afternoon song. It will be rockin in the Odyssey today. This entry was posted in Uncategorized and tagged black eyed peas, chandon, coco vita, coconut water, gel polish, hockey mom, lacrosse, manicure, opi, sparkling wine. Bookmark the permalink.